I sat down for breakfast at the YMCA hostel I’m staying at in Basel and started talking to a nice British couple. They had outdoor gear on and we began sharing stories about our human-powered travels; they had just finished a week of hiking in Germany and Switzerland. They covered a significant distance—90 km. Still, I couldn’t help thinking that I was glad to be on a bike with the ability to cover that distance in one day rather than a week. I refrained from explaining to the British couple that my mode of self-powered transportation was more efficient than theirs. Instead, we moved on to other slightly more important topics like the global economy, my opinion on whether Obama would get reelected, the riots in the UK, and the new bicycle share program in London. They were excited that London was becoming a more bike-friendly place and they commented on the bicycle culture in Basel. What has really impressed me about this little biotech hub of roughly 200,000 people is that about as many trips are taken by bicycle (21%) as by car (23%). The low driving rate is noticeable. ”Where are all the cars?” my new British friends asked. 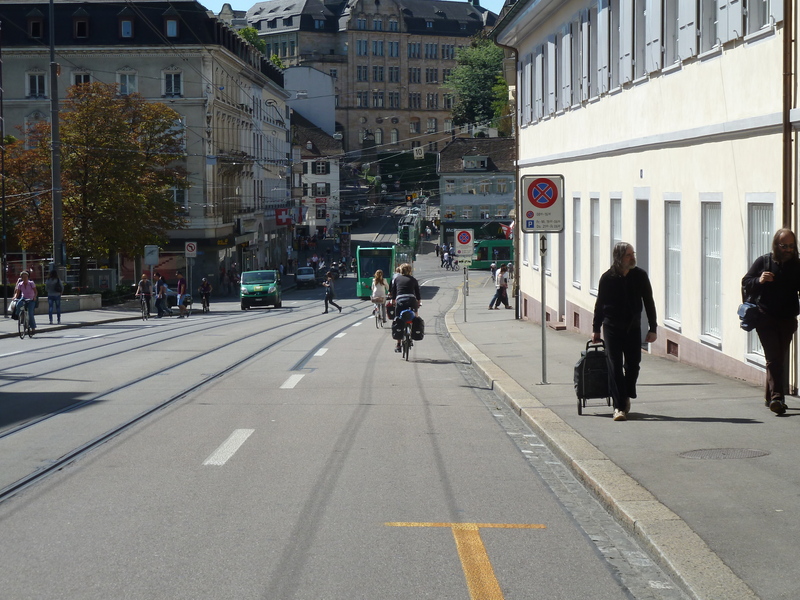 One of the main roads in Basel with a trolley, bikers, pedestrians, and cars. 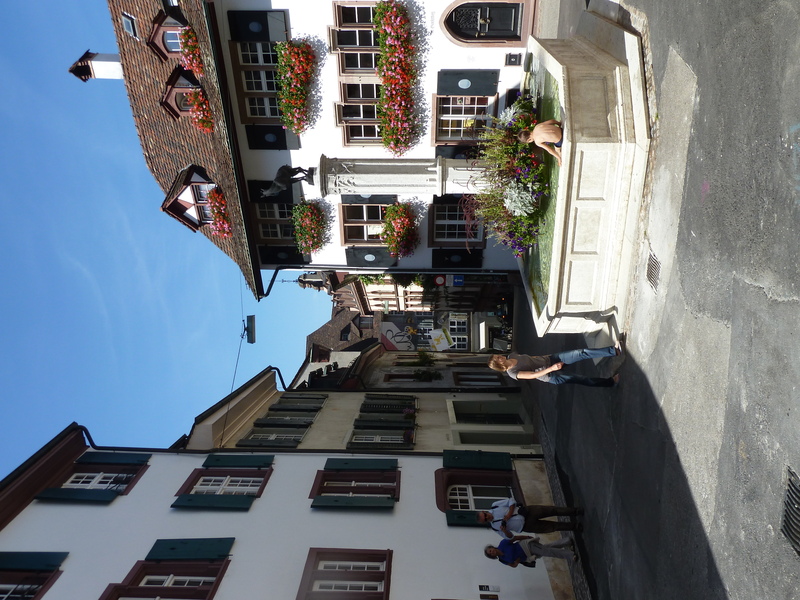 A little boy taking a dip in a public fountain. An interesting testament to the calmness of the roads here: I saw a custom cargo bike powered by a man who was biking his, I assume, father of at least 85 around town. The bike was a little bit odd; the best way to describe it is a combination of a wheelchair and a bike. I tried to get a picture, but this father-son duo was hauling down a hill and I wasn’t able to pull my camera out in time. The elderly man looked happy and the little tuft of white hair he still had was flapping wildly in the wind. 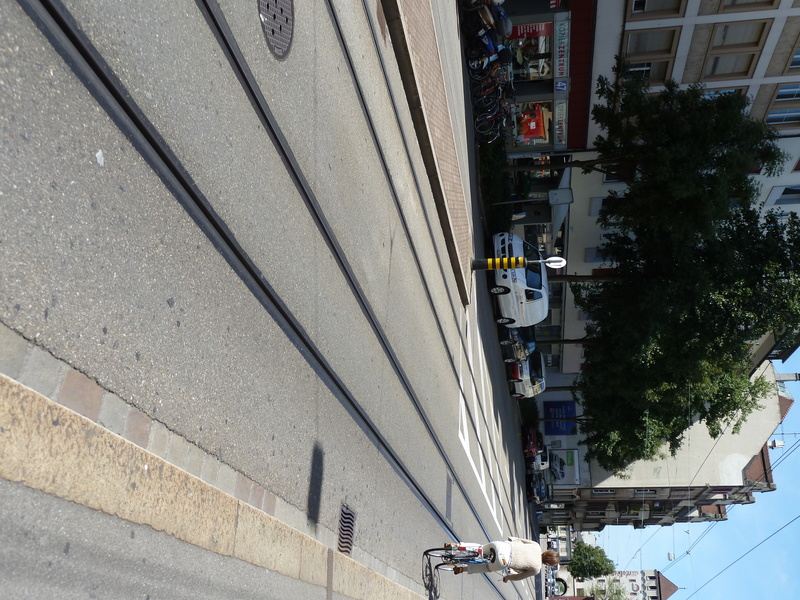 The one gripe I have with Basel is that there are trolley tracks on most of the main roads. There are a lot more mountain bikes here with thick tires that make the tracks harmless, but my tires are pretty thin and so I’ve just had to be careful about not getting stuck in the tracks. I haven’t had any problems yet and I assume it’s just something you’d get used to if you lived here and had a road bike. 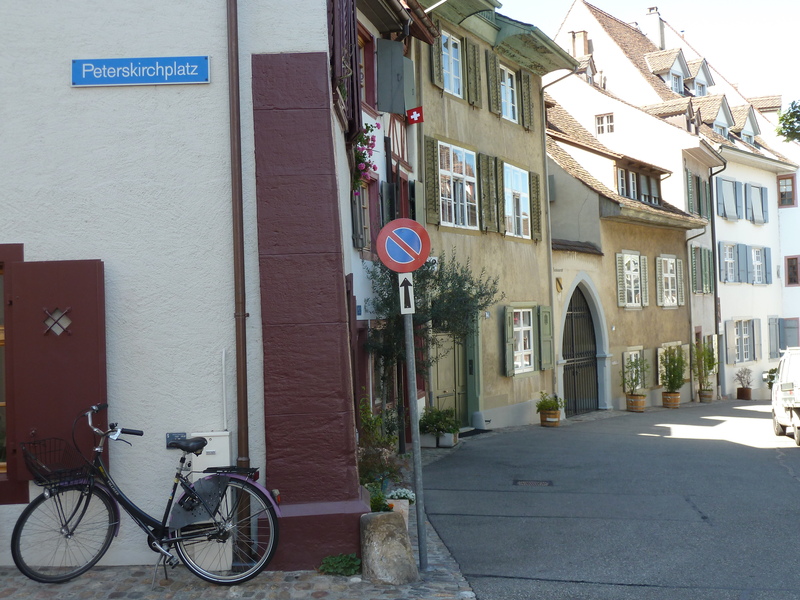 Some of the residential streets in Basel have been transformed into pedestrian sanctuaries. 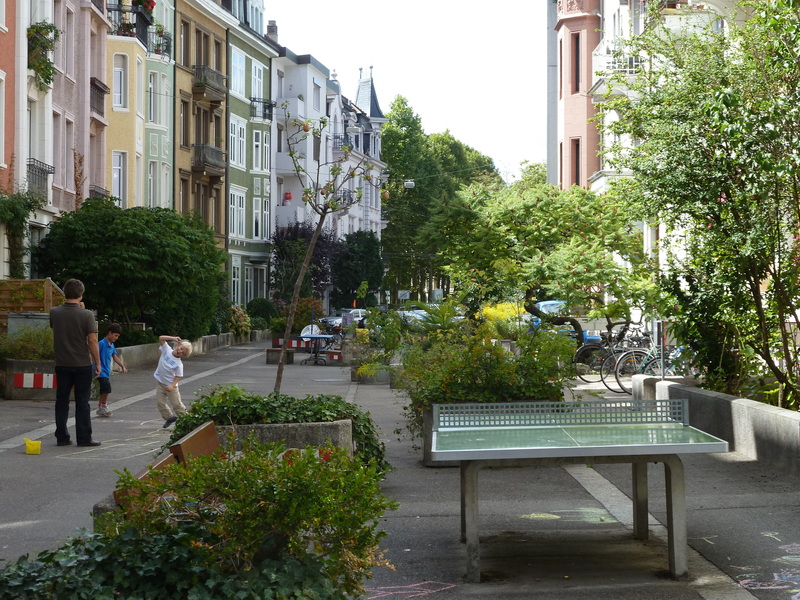 Basel started reducing the amount of street parking for cars as early as the 1980s and as a result this has freed-up street space for community gardens, play spaces, and even public ping pong tables. Cars technically are allowed to go down these streets, but the speed limit is 20 km/hr and the only vehicles I saw were delivery trucks. Innovative use of the right of way. More ping pong tables and less parking! There was also a game of hop-scotch being played in the middle of the street. 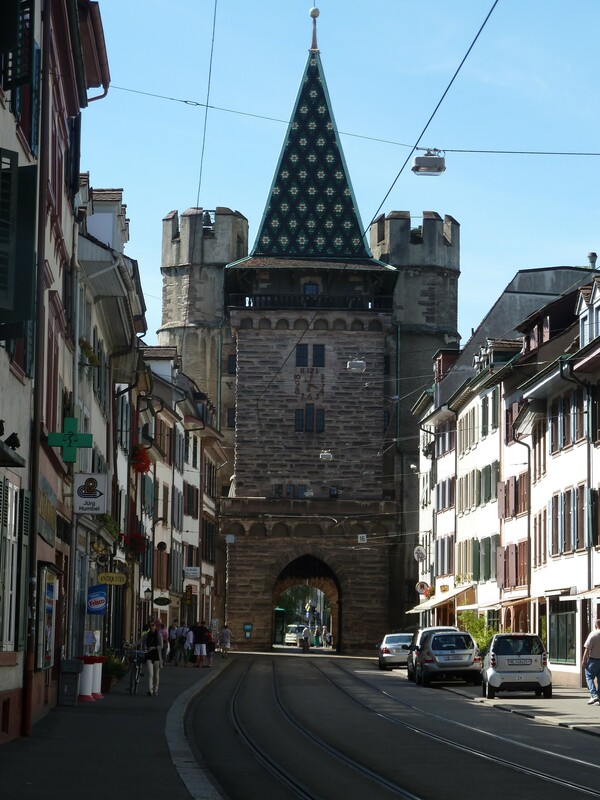 The weather was horrible when I first arrived in Basel, but the sun is out now and I’m going to take advantage of it by getting out into the mountains for a few days of touring while working my way to Zurich. I’ll try to post from the road! 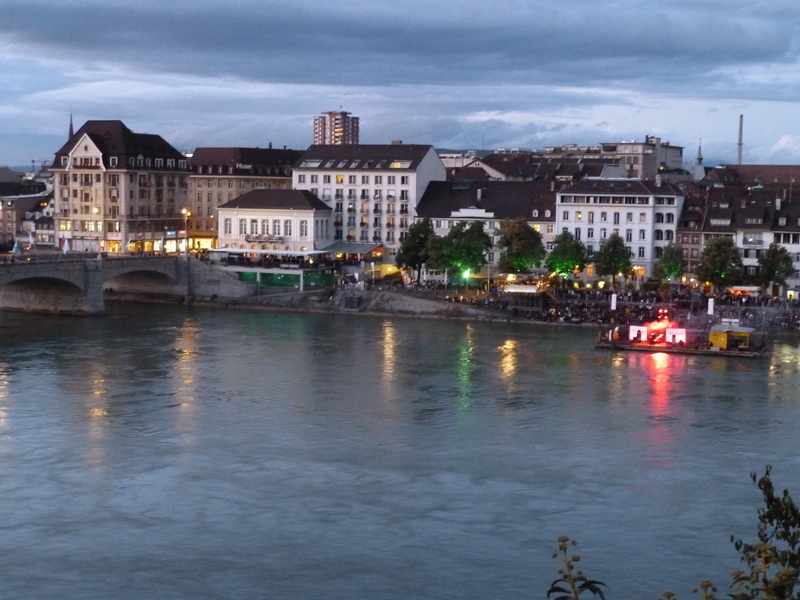 Evening concert on the Rhine. 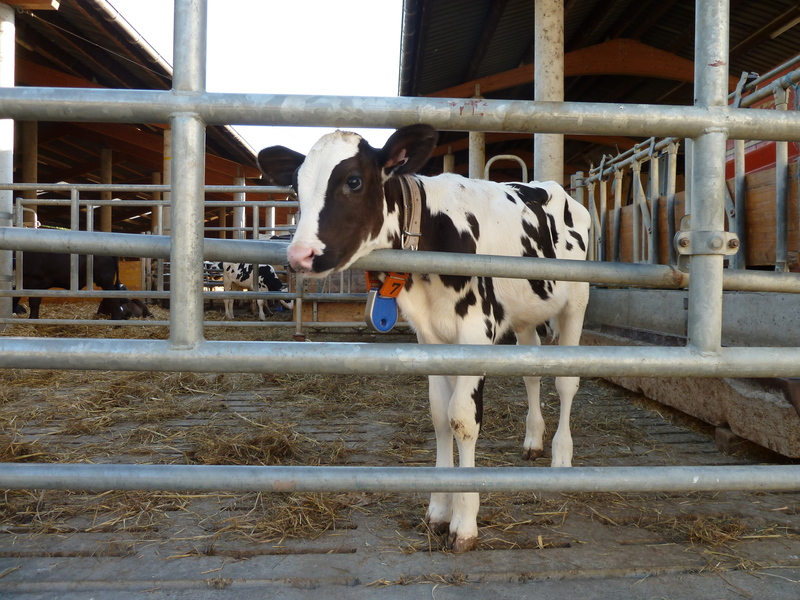 There are farms just a few miles from the center of town. 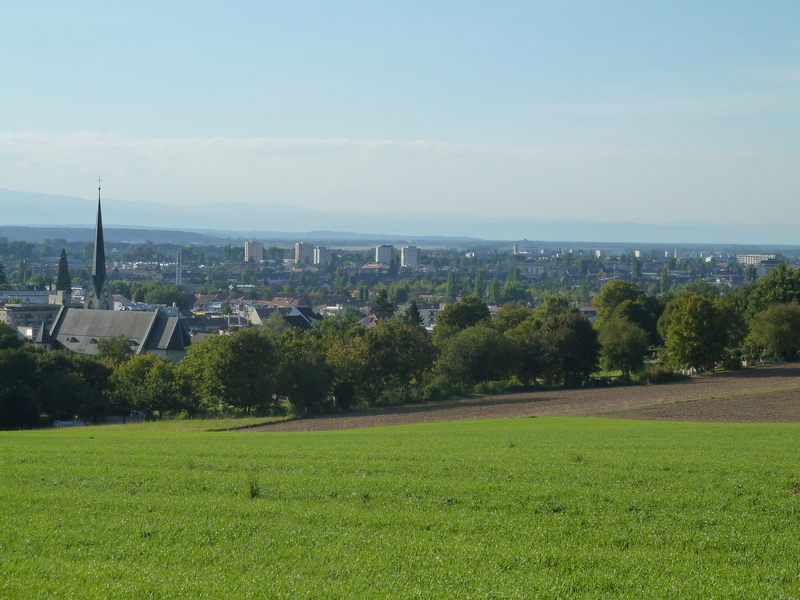 I went for a run into the hilly suburbs of Basel. Looking back into the center of town. 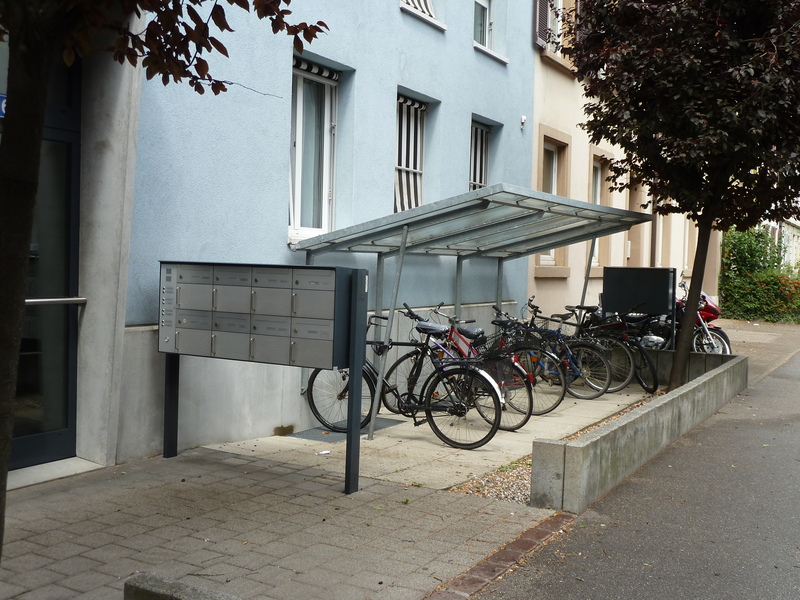 A lot of apartment buildings have bike parking shelters.